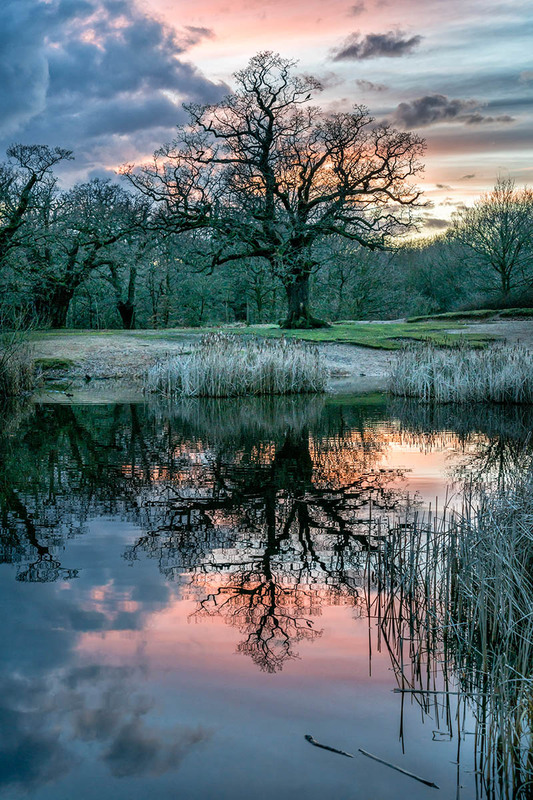 I spent a day photographing Epping Forest and was just about to leave when I noticed a beautiful blue and pink sky forming. I rushed back to one of my favourite locations just in time to capture this ancient oak tree reflected in the water and framed by the sky. There was a slight wintry chill in the air, which I think comes across in the scene.